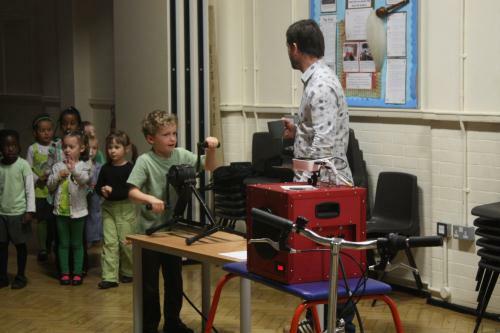 Inventor Tonks brought in his pedal powered cinema. 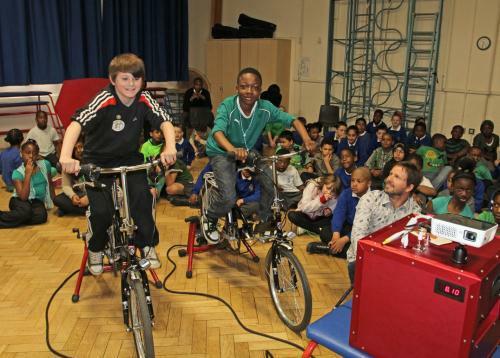 By pedalling, the children generated electricity to power the projector. 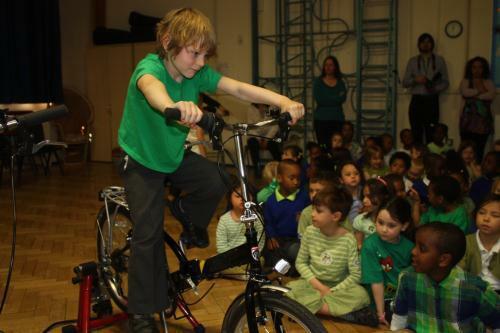 With 2 children pedalling, we had enough electricity to watch some films made by the Eco Councillors. 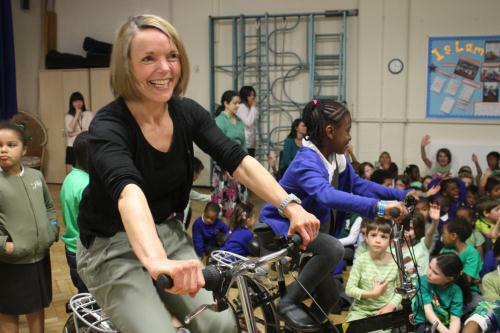 Some of the bikes were a little big for the younger children, so adults got a turn too. 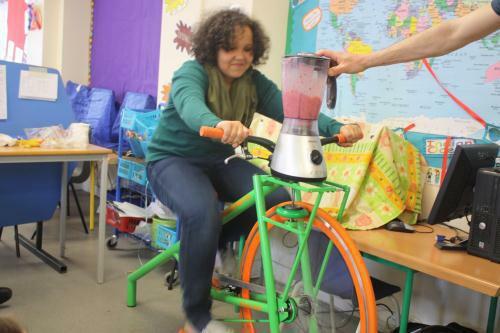 Every class got to make and drink smoothies on the smoothie bike . 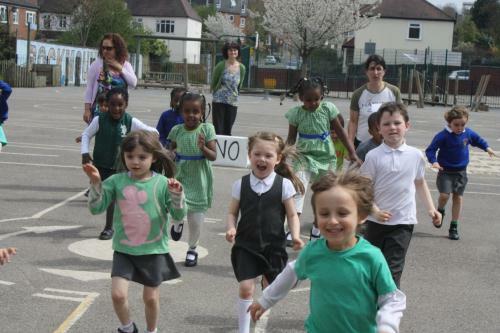 39 children cycled to school on Green Day. 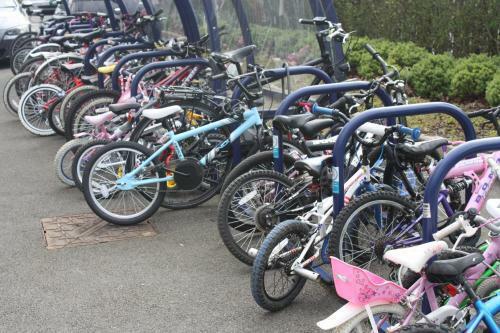 The bike stands were full! 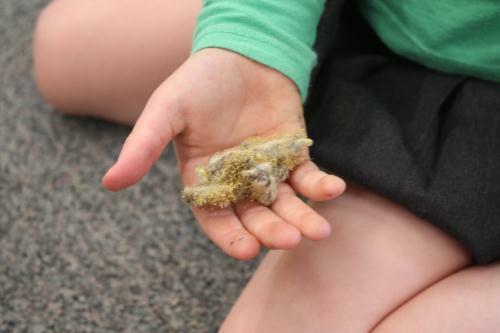 Children in the Reception played the YES/NO game to see how much they knew about farm animals. 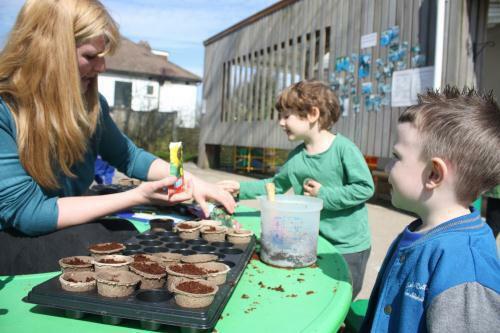 They collected lots of natural materials from the school grounds to make a farm collage. 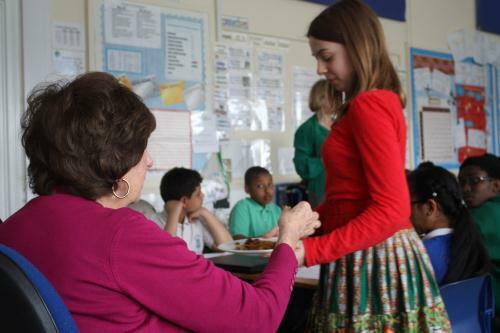 The Year 6 children wrote letters inviting local residents into the classroom to tell us about their childhood during the war years. They baked cakes using war time recipes with carrots and beetroot. 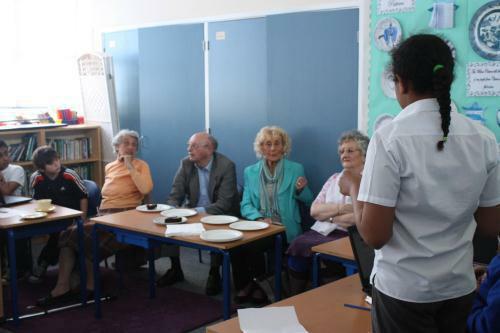 They offered these to our visitors and asked them questions about what they ate during the war years. 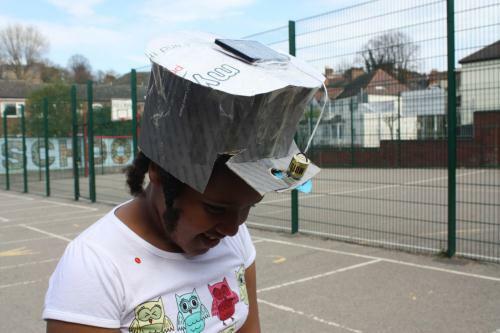 Year 5 children designed, made and tested solar powered sun hats. The solar pv cell drives the propeller, which spins and keeps you cool on a hot sunny day. After school, Green Day continued. 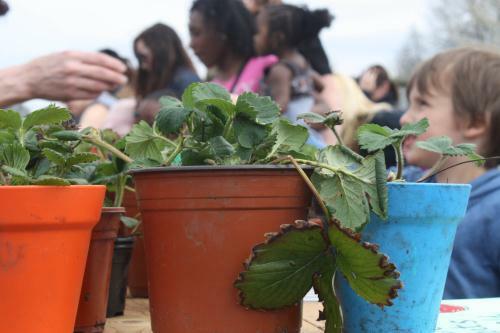 Reception staff sold strawberry plants grown by the children. 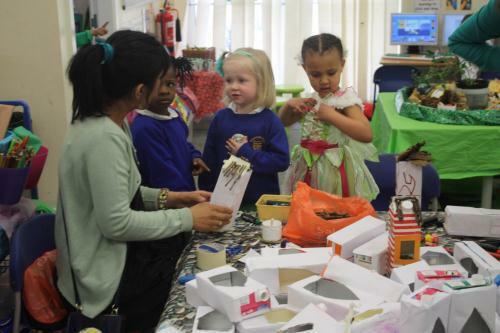 There was a book swap shop and school uniform sale – all to promote re – using rather than throwing away. 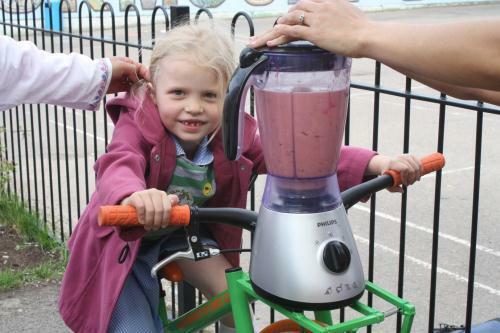 We sold smoothies made on the smoothie bike to parents and families. With the £30 we raised, we plan to buy some planks for the children to build with at playtime. 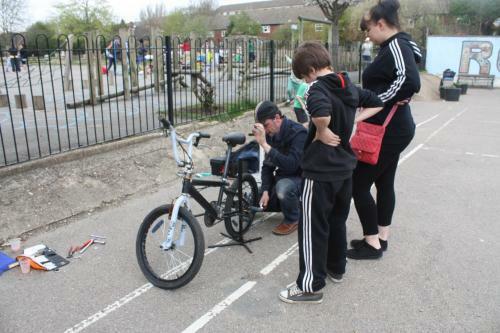 Dr Bike repaired many parents’ and children’s bikes after school. 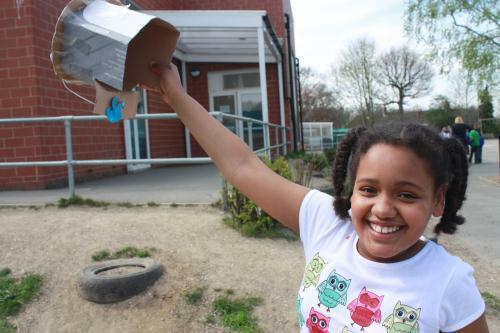 The Nursery children made bird boxes to hang up in the trees using juice cartons. 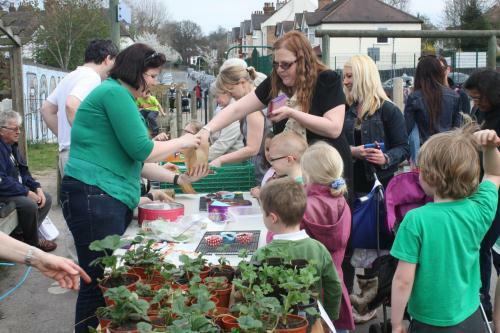 The Nursery children planted lots of vegetables ready to transfer into their raised bed. 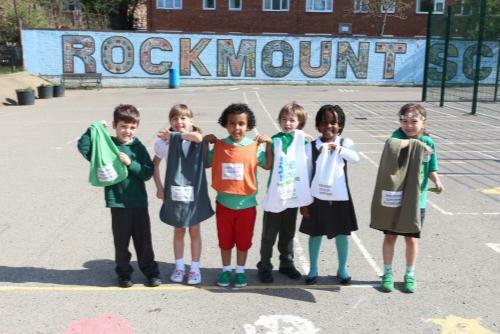 Year 1 children up-cycled old T-shirts to make shopping bags with these logos sewn on. 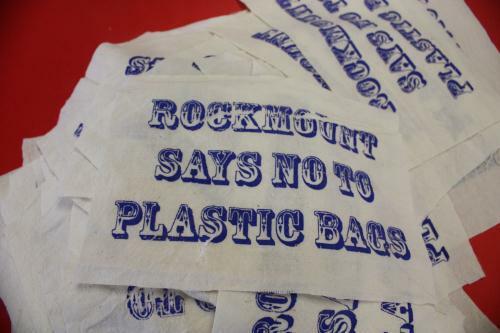 They hope to use their new up-cycled shopping bags instead of plastic ones.